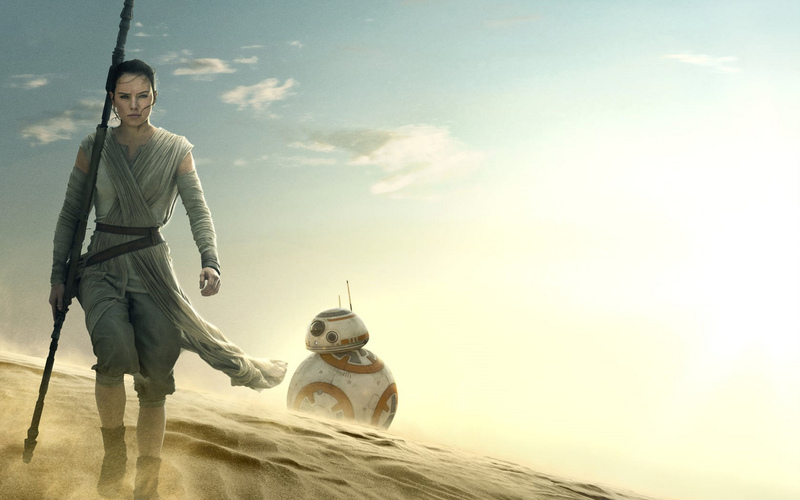 Rey and BB-8. . HD Wallpaper and background images in the Rey club tagged: photo rey star wars force awakens bb-8. This Rey wallpaper might contain lippizan, lipizzan, lippizaner, 리피잔, bullterrier, and 불 테리어.